YOU'RE WED. Now you and your love need a vacation after planning the most beautiful and exhausting event of the year. Airbnb is the perfect way to honeymoon with all the comforts of home-- certainly a step up from a hotel when you don't have to fight for a chair at the pool or make small talk with strangers at breakfast. Enjoy our top picks for swoon-worthy, unique stays abroad! With a beautifully updated home from 1647 and the town of seaside town of Corcubión, Spain outside your window, there's not much else you could need. Except maybe some homemade snacks and according to reviews, your host will have those waiting for you. Brb, booking now. Ten times out of ten we would chose a fun and funky place over a hotel room. Guests rave about how much they love this listing and it's location in the center of Rome. Get off the grid without having to give up comfort! What's on the inside counts as much as what's on the outside because this cabin from 1890 is finished with a surprisingly modern interior. The day of travel to get to this cabin is most definitely worth it for the views and stillness of the Swiss countryside. The price tag on this is almost as beautiful as the apartment itself. This stylish flat is located within walking distance of the metro and the perfect place to come home to after site seeing in Vienna. 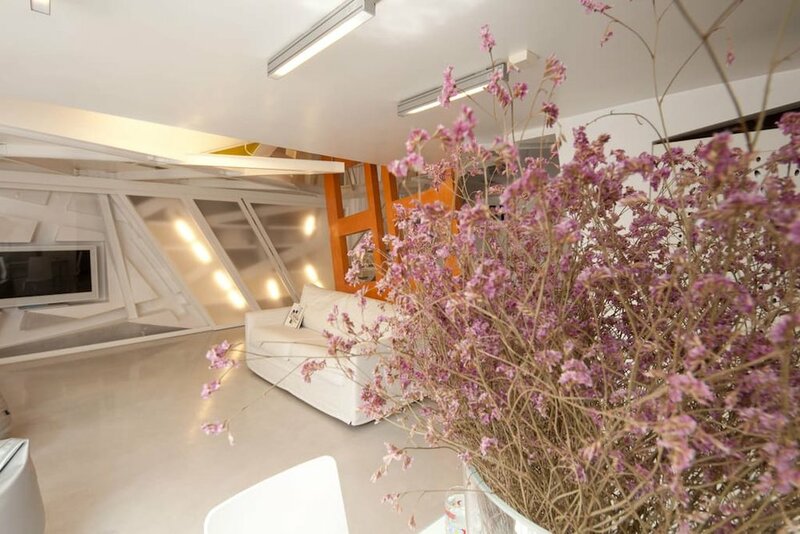 As if the aesthetic wasn't already a draw, guest reviews rave that this loft is located in a perfect area of Budapest near bars, restaurants, museums and shopping. The listing has every amenity a couple would need including a fully equipped kitchen to cook up something for a night in. The picture sells this one. The price on this lavish volcanic stay changes depending on the time of year and nights booked, but once you scroll through the gallery, it may be worth planning a delayed or extended honeymoon! This tree house villa was built around trees that stretch two floors and is complete with waterfall, private pool, and outdoor bath. The listing even has staff that makes breakfast, cleans, and will help you book excursions, massages, basically whatever you need. This hideaway stands next to a villa, but is separated by a tropical garden and wall and secluded from the busy town of Ubud. You will never find yourself in shortage of wine at this stay complete with a shop-able wine cellar in the Sausal wine region. The modern retreat is a matchless place to honeymoon and enjoy the Austrian countryside as the host writes, "you will sleep "under the stars" and wake up with mother nature." Driving on the wrong side of the road will never feel as right! 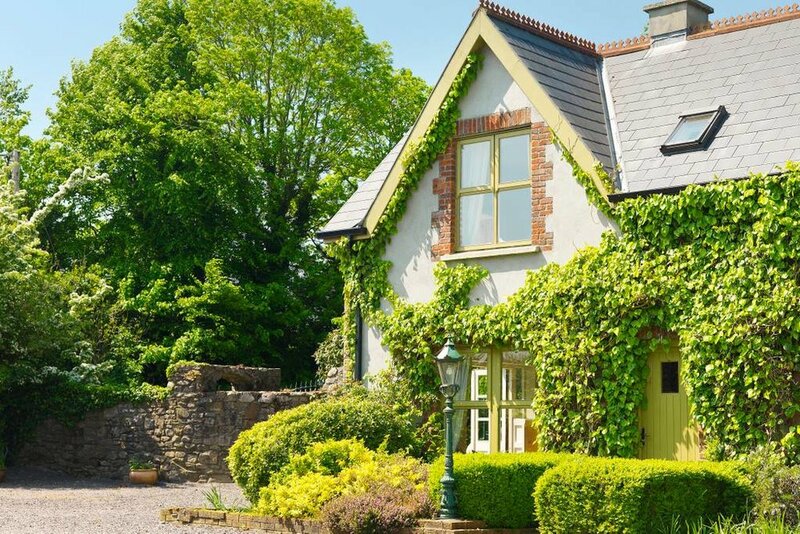 This gorgeous cottage in Tralee, Ireland is a perfect location to tour County Kerry and Dingle Peninsula. We would be remised if we didn't also mention the host will have wine, scones, and other treats upon your arrival! Although there may be 4 more beds than what you need, this Moroccan riad is perfect honeymoon hideaway. This private residence is staffed part of the day to set up breakfast and clean, but a couple could otherwise go undetected among the many rooms, terrace, and patio. 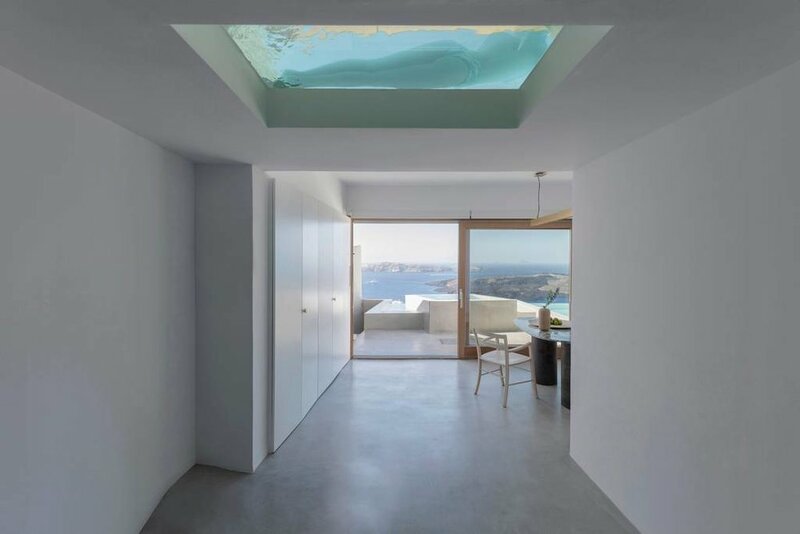 If an Airbnb ever screamed honeymoon vibes, it would be this one. You will definitely want to scroll through the gallery of this listing and it won't be long before you find yourself in the pool or curled up on the couch. Away from busy tourist areas and 27 miles from the town of Chania lies this stunning studio built around a natural rock formation. The studio is connected to a villa with a host that guests say will offer treats, amazing food, and even a seat at their table. Renting a car is recommended to travel here, which will be worth it to experience this beauty. From the making of my wedding dress to leaving my job to start my label, get a look into a designer's world.